Do you like my new laptop tote? It’s kind of cute, eh? It (and contents) is on its way to Kenya. My heart, a huge chunk of it, is on its way to Kenya. at a Trauma Healing Conference. war, natural disasters and other traumas. Katie spent her childhood in Zimbabwe. She has been back to Africa multiple times. This entry was posted in Uncategorized and tagged africa, friends by alivingpencil. Bookmark the permalink. Wow, I didn’t know that about you, Laurie. How long were you there? How long ago? The conference is in Nairobi. We’re praying for her, what a great young lady! She will be (is) a blessing to all she ministers to. Wherever did you find that adorable carrying case? And how fun to think of a part of you traveling to Nairobi with Katie! Keep us posted as to how it goes for her, will you? Talk about vicarious pleasures? Did you post about that earlier this summer?At any rate, I’m curious? 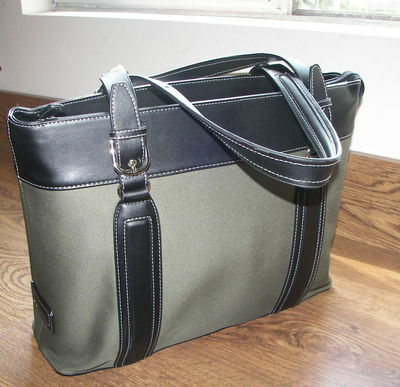 Is there a laptop in the laptop bag…. or something else? @hiddenart – It’s a laptop and several Wendell Berry books. There is no doubt about “vicarious” but, due to the nature of the conference, it will be more painful (just hearing the stories) than pleasurable. Limbolady is being sassy because she was with me when I purchased the tote at OfficeSomething (can’t remember if it was Max or Depot). 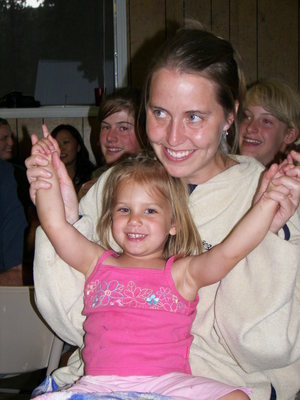 When you love someone, like our Miss Katie, you end up loving what they love, like Zimbabwe. Please remember to pray for the others traveling to the conference as well.